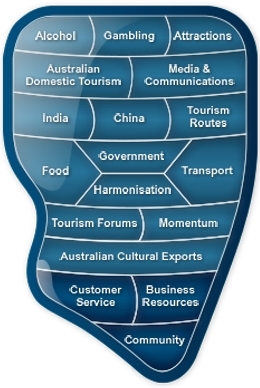 By Veronica Hope, 6th July 2015: The Tourism News gets a lot of questions about council planning processes. 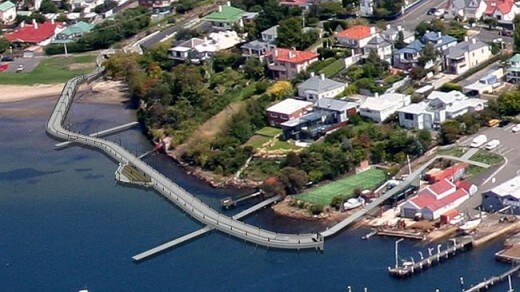 In this example, Hobart City Council has paid over $500,000 for a fairly obtuse walkway that won’t go ahead. After spending $188k in planning application and consultancy fees and $363k in court costs fighting the Battery Head residents, Hobart City Council’s General Manager is absconding from the actual costs to council. Heath claims he is unable to account for the manpower costs to council spent on the project because council officials were working on other projects. Of course it is possible to itemise council worker’s time, especially in regards to large capital projects and tenders. Nick Heath has some explaining to do. HOBART City Council spent more than half a million dollars on its controversial Battery Point walkway proposal since 2013. The Mercury can reveal through the Right to Information process that the council’s overall cost for the accessway in its latest iteration was $512,691.03. The debate, which has pitted elite waterfront Battery Point residents against the community and the council over a pedestrian and bicycle trail, eff­ectively ended last week when the council announced it would not launch a Supreme Court appeal. HCC general manager Nick Heath said the council had actively pursued the project because of its public value and the continuing community support over many years. The council required legal representation as both the applicant and the planning authority in the Resource Management and Planning Appeal Tribunal case earlier this year. A group of 10 residents from Clarke Ave and Napoleon St, plus prominent retired doctor and resident Michael Loughhead, appealed against the council’s original decision in October 2014 to approve stage one. The total cost to council for the RMPAT appeal was $363,697.68. This figure includes costs for external consultancies and fees associated with the 12 expert witnesses in preparing for the nine-day appeal. “The number of witnesses was required due to the extent of the grounds of appeal, most of which were in fact dismissed by the tribunal,” Mr Heath said. Before the appeal, the costs to council in preparing and assessing its development application for the project came in at $188,021.77, including the cost of consultancies. Mr Heath said it was not possible to quantify the cost for council staff because officers often worked simultaneously on several projects. First proposed in March 2002, the push for an accessway started to gain real traction in 2013. Mr Heath said the council would continue to look at how to open up the Battery Point foreshore to the wider community. Dr Loughhead said yesterday he had no comment on opening up foreshore access until he saw a full proposal.